Breton Agriculture in Crisis – Seeds of a Revolution? Our Celtic cousins in Brittany are not a happy bunch. Rumblings about the fate of their important agriculture industry have erupted into mass protests and, in the last week, a somewhat mysterious campaign of burning speed cameras. 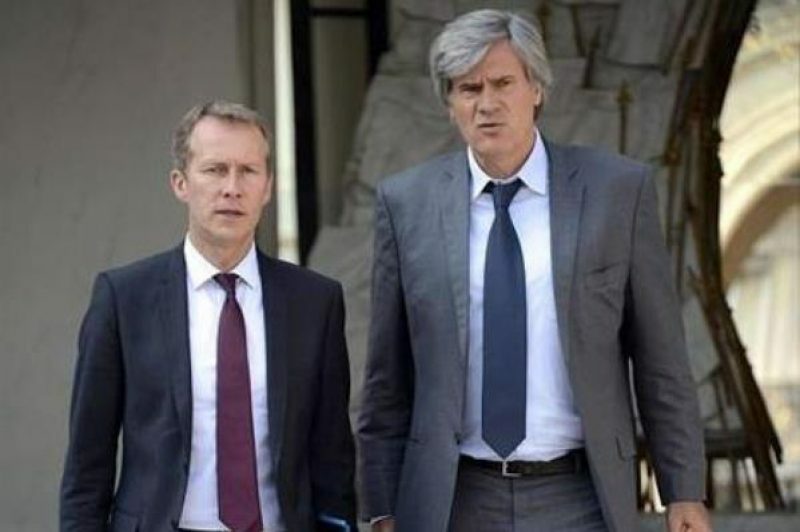 France has two ministries concerned with agriculture and food production: Stéphane Le Foll (pictured on right above) is Minister of Agriculture and himself a Breton, while Guillaume Garot (on left) is Minister of Agri-Food. Both were due to visit Brittany today to help quell a situation that looks increasingly like a movement that’s gaining momentum. The atmosphere in Brittany is being described as an explosive one of the type that is rare even in a country famous for its propensity for mass-protest (the recent passing of the gay marriage bill, for instance, didn’t go through without enormous street marches against it – one estimated to contain close to a million people). Since the end of 2012, the numbers of large-scale restructuring job-losses in Brittany has multiplied, with chicken processors Doux laying off 971 workers, Tilly-Sabco (also chicken processors) announcing that they will have to let 300 of their 340 employees go in January and pork meat processors Gad SAS letting 889 people go. The fear is that, in the face of stiff competition, the agri-food sector (estimated to employ about a third of all Bretons) in Brittany will see many more lay-offs. The eco-tax on heavy trucks (which the government have provisionally suspended, such was the negative reaction from the French public) seems to have been the straw that broke the camel’s back in this case. It was this that gave rise to protests that have often turned violent and concentrated on the far-west Finistère department, the area most seriously affected by the Breton crisis. Here too, Norwegian seafood specialists Marine Harvest (ironically, more well known in Ireland as a company trying to create more jobs in the face of protest) have joined the rising stream of restructurisation with the announcement of the loss of 300 jobs in Poullaouen. The emergency meeting in regional capital Rennes today will involve Minister Le Foll, as well President of the Regional Council Pierrick Massiot and the Banque Public d’Investissement (government-owned public capital financier) in order to lay out a plan of action that will try to turn around the worsening economic situation in the region. The minister is also due to meet union representatives and heads of the Breton agricultural industries. Meanwhile, action on the ground continues. The latest escalation has been a sustained systematic attack on automatic speed cameras. 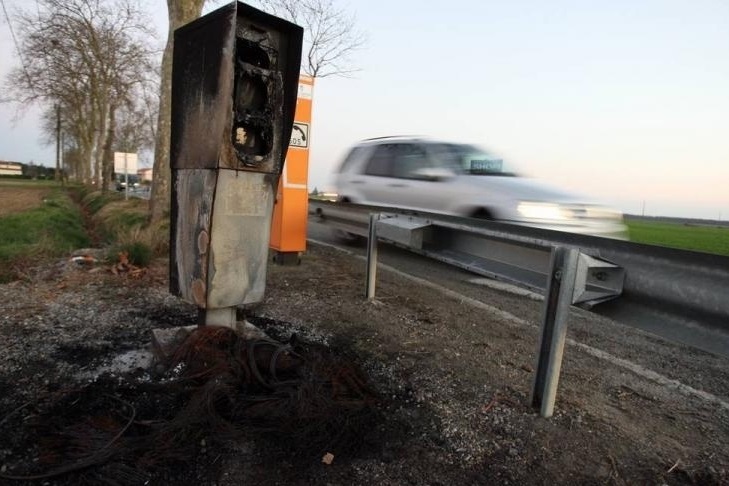 Having started around Lorient on the 31st of October, the burning of these unloved features of the French roadscape has increased and spread across the whole region (See Le Telegramme’s map of burn sites here). Although the first few actions of vandalism were claimed by an organisation calling itself the Résistance Bretonne (ARB), the rest of them seem to have been carried out by various others inspired by the idea of destroying some of Big Brother’s eyes on the road. The fire seems to be spreading.